Brenen Hofstadter, MBA, CM&AA, is President & Supervising Principal Generational Capital Markets Inc. and Chief M&A Officer, Generational Equity LLC. 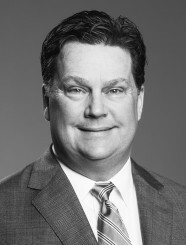 Mr. Hofstadter serves on the Generational Group Executive Board and leads the M&A team. He has 27 years experience in the M&A Industry, including the past 12 years with Generational. Prior to joining Generational, he was a partner of a boutique M&A firm specializing in the engineering industry. Prior to that, he was with Citigroup Capital Strategies as an Associate, VP, and Managing Director. Mr. Hofstadter earned his MBA from the University of South Florida and is a member of Mensa. He has been recognized with several M&A Advisor Awards for exceptional transactions he led over the past ten years, and is a frequent faculty member and speaker at M&A conferences. He holds FINRA series 7, 24, 63, and 79 securities licenses and is a licensed Texas Real Estate Broker.